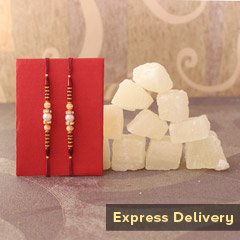 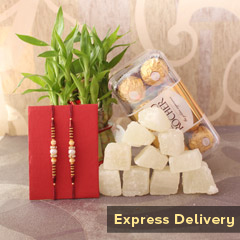 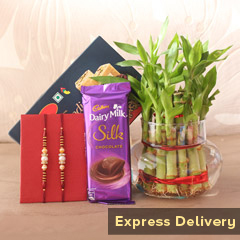 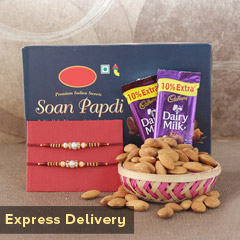 Such an elegant Rakhi set it is! 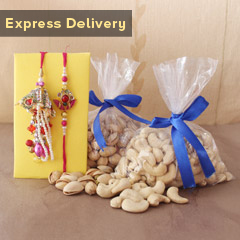 Come buy this for dazzling up wrists of both your brothers on this Raksha Bandhan. 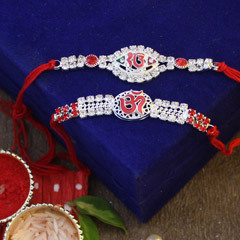 It’s a lovely Rakhi pair that has been crafted with great supremacy and amazing sequencing of pearls with red beads and sparkling stones. 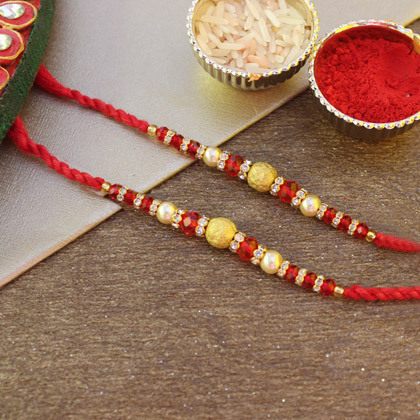 The big Golden bead in the middle is completing the look of this Rakhis with great elegance.